Do you want to play DVD movies on your Nokia Lumia 2520? This Nokia’s first Windows RT tablet is shipped with a 10.1-inch 1920 x 1080 ClearBlack resolution display at 218 ppi, with it you can enjoy vivid picture and outstanding movies to kill the spare time or share quality moment with friends. 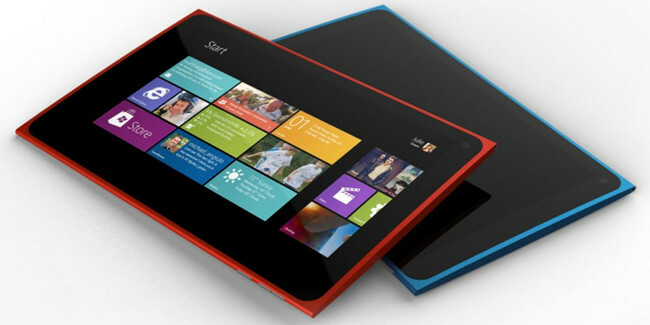 However, there is no DVD-Rom equipped with Lumia 2520 and you cannot insert DVD disc in it for watching movies. How to play DVD movies on Nokia Lumia 2520 ? A professional yet easy-to-use Lumia 2520 DVD Ripping program offers you a fascinate solution to rip DVD movies to Nokia Lumia 2520 by removing DVD disk protection and transcoding to its playable MP4 format. Follow the steps below, and you can move and watch your DVD collections on Nokia Lumia 2520 running Windows RT 8.1. Free download Windows DVD Ripper for Nokia Lumia 2520, and easily import source DVD movie from disc drive to this app by clicking on the button “Load Disc”. The best video format supported by Nokia Lumia 2520 is H.264 MP4. 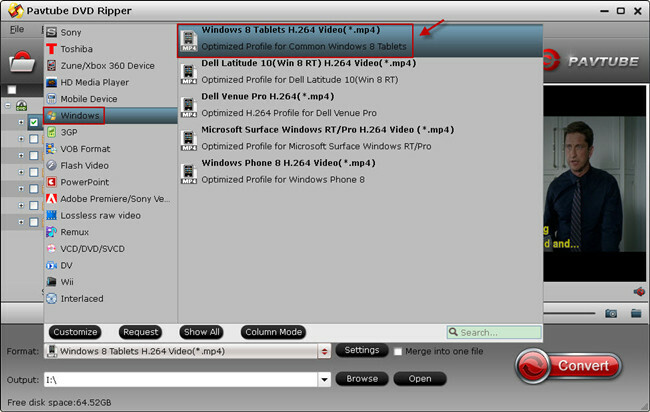 So click on the “Format” pane, and follow the path “Windows” > “Windows 8 Tablet H.264 Video(*.mp4)” as output format. To get 1080P HD video playback on Nokia Lumia 2520, you can set 1920*1080 in Video Size under Profile Settings. In addition, more profile parameters can be customized to obtain the best display enjoyment on this device, including Codec, Bitrate, Frame Rate, etc. Hit on the “Convert” icon to start ripping DVD movies to Nokia Lumia 2520 MP4. When the conversion is done, you can transfer DVD movies from output folder to Nokia Lumia 2520 to share with family members and friends.